For the first time in its history, the festival ran on the Saturday, Sunday and Bank Holiday Monday drawing thousands of food fans and families across the three-day weekend. The sunshine on Saturday saw crowds pack out the event while wet weather on Sunday did little to dampen the spirits of festival goers who turned out in force to see Tom Kerridge take to the cookery theatre stage with Michael Caines. The cookery theatre welcomed no fewer than six Michelin starred chefs on the Sunday, part of a seven Michelin starred line-up over the weekend – giving festival goers the chance to learn from the experts. 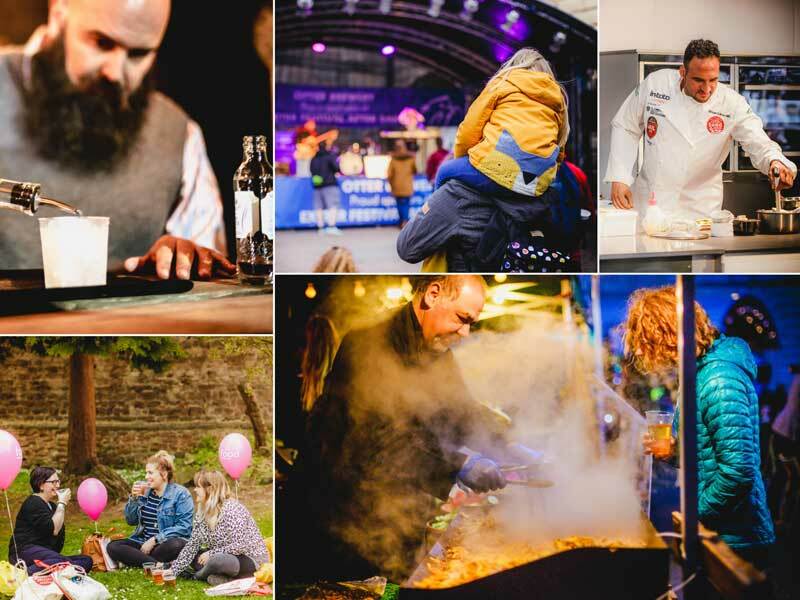 Thousands chose to spend their bank holiday Monday at the festival, entertaining the family with Fun Kitchen cooking workshops, craft activities and bug-eating challenges.